Houston, TX, June 14, 2016	(Newswire.com) - ​Atlas API Training provides on-line exam prep courses for the petro-chemical and power industries. They presently offer courses for API 510 / 570 and are developing courses in API 653, API 1169, API 936, CWI, NDT, Basic Geology, Advanced Geology, Process Heater Fundamentals, Introduction to QC, and Introduction to the Oilfield. According to Atlas API Training president Hannon McLeod, “these API 510 / 570 courses were designed to save time and money whether preparing for an exam or seeking professional development hours. Our on-line learning system has many advantages over the standard rushed classroom course – including the best guarantee in the industry.” API classes (present and upcoming) are exam preparation courses; they also provide professional development hours for engineers and CWI 9 year renewals as well. CWI prep course and NDT certification classes are also under development. Basic Geology, Advanced Geology, Process Heater Fundamentals, Introduction to Quality Control, and Introduction to the Oilfield Course are academic courses are also being produced at this time. All Atlas API Training instructors are industry professionals, not just academic instructors. Established in Houston in 2014 by Hannon McLeod and Oran Lewis, Atlas API Training LLC provides on-line petro-chemical and power industries exam preparation courses for advanced industry certification. 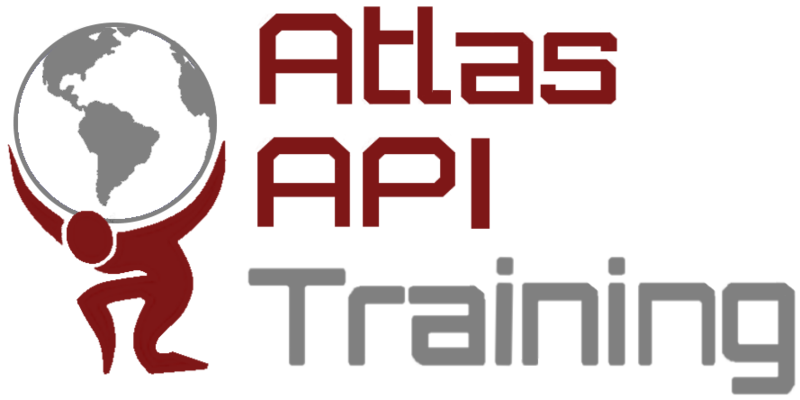 Over the past two years Atlas has received multiple request to expand their offering of advanced API certifications and is now developing additional industry specific training courses that will soon be available. Atlas API Training was started with quality, value, and convenience in mind. Our on-line training courses are designed to give the API students the best opportunity to pass the certification exam. The goal is to provide that opportunity in the most convenient manner possible. All course courses are frequently updated to reflect the most current industry specific changes and testing parameters.